If you’re a frequent reader of Coley Cooks, if you follow me on social media, or if you know me in person, you probably hear me talk a lot about “barramundi”. As a chef and recipe developer, sustainable food systems are very important to me. As a coastal resident raised in a family of fishermen, sustainable seafood in particular has always been an especially big deal. So in 2015, I flew to New Orleans to be a part of the inaugural Sustainable Seafood Blog Conference. It was there that I was first introduced to Josh Goldman, founder and CEO of Australis, along with this super tasty, eco-friendly farmed fish called barramundi. I was so impressed by Josh’s story and his passion for his work that I immediately knew I wanted to be part of the movement that brings this amazing species the recognition it deserves. Fast forward to today, and I’m proud to call myself Corporate Chef and Brand Ambassador for Australis, the company responsible for producing this mouthwatering, sustainable fish. So, what exactly makes Australis Barramundi so special? There’s good reason why it’s been nicknamed “The Better Fish”. Keep reading to find out why. Barramundi is a type of seabass that’s native to Australia and the Indo-Pacific. Barramundi is Aboriginal for “large-scaled silver fish” and is known around the world for being both versatile and delicious. It has firm, white flesh and a meaty texture that I can best describe as a cross between mahi mahi and grouper. It has a mild flavor that’s slightly sweet and buttery. Plus, it doesn’t taste – or smell – fishy at all. Australis Barramundi boasts 34 grams of lean protein per 6-ounce portion with only half – yes, HALF – the calories of salmon. In addition, barramundi is loaded with Omega-3 fatty acids which are known to promote both brain and heart health. In fact, barramundi contains more Omega-3’s than any other white fish. In addition, barramundi is low in Omega-6, which is known to cause inflammation in the body. Nutritionists recommend an Omega-3-to-Omega-6 ratio of 3:1 or lower; Australis Barramundi has the ideal ratio of 1:1. To top it all off, barramundi has zero traceable levels of mercury, PCB’s, and other contaminants. Learn more about this impressive fish here. But I thought all farm-raised seafood was bad? Shouldn’t I be eating only wild-caught? Not all fish are created equal. It’s true that a lot of farmed seafood is produced in poor conditions with tons of of added chemicals and antibiotics. But it’s also true that a lot of wild-caught seafood is overfished and/or sourced in a way that’s harmful to the environment, plus, it could be loaded with mercury and other contaminants. On the contrary, there are good examples of both farmed and wild caught fish alike. So unfortunately, the issue isn’t as black and white as you may have once been lead to believe. It really boils down to knowing exactly where your fish comes from and asking one simple, straightforward question: Is it sustainable? One good way of knowing for sure is to consult Monterey Bay Aquarium’s Seafood Watch Guide, which helps consumers make educated choices that support a healthy ocean. Australis Barramundi is the first- ever marine-reared fish to earn “Best Choice” by MBA Seafood Watch due to their controlled, traceable, and totally transparent method of Climate-Smart Ocean Farming. This revolutionary farming system guarantees the fish are raised in the best conditions possible, without any antibiotics, colorants or chemicals. Ever. As a chef and recipe developer, I love working with barramundi because it’s so versatile. It has a mild flavor, toothsome texture, and due to it’s mid-fat content, it’s nearly impossible to overcook. Actually, you don’t even have to cook it at all. It tastes fantastic – and is completely safe – served raw. 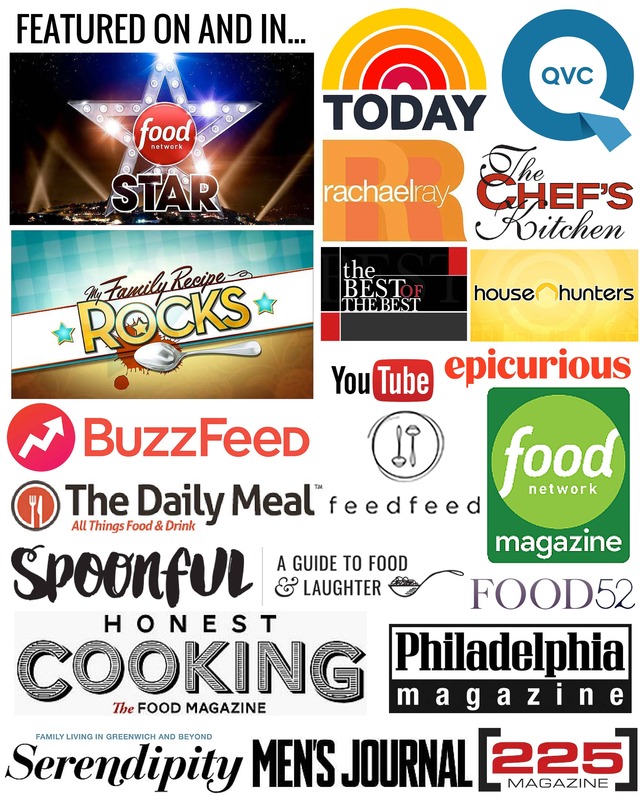 I’ve created a number of mouthwatering barramundi recipes (and videos!) including everything from soups and stews to appetizers, salads and entrees that can all be found over on TheBetterFish.com. Consider me the Bubba Gump of barramundi. This fish can do it all. If you’re new to cooking fish, barramundi is perfect for beginners since it’s so forgiving. I teamed up with Australis to create a video series on how to cook fish in a number of different ways including shallow fried, pan seared, roasted and grilled. View them all here. 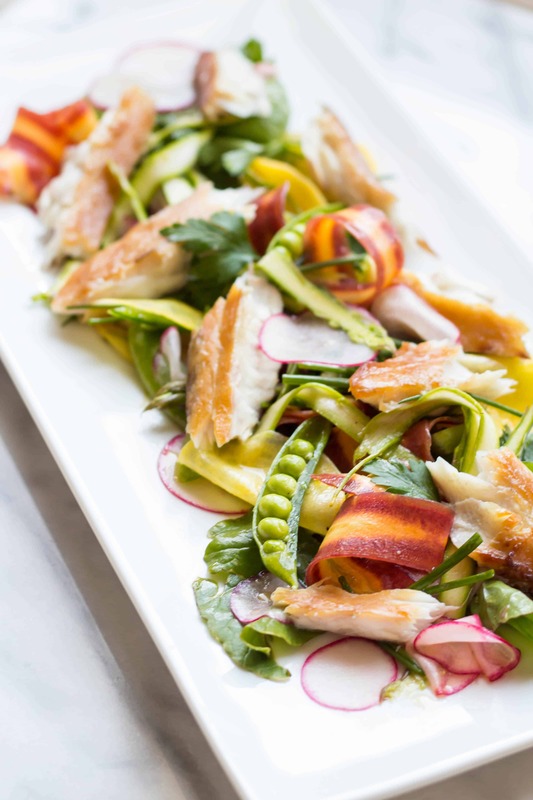 Many of my recipes are also featured right here on Coley Cooks, like this simple weeknight Herb Roasted Barramundi with Meyer Lemon Vinaigrette, light and spicy Jerked Barramundi with Grilled Pineapple Salsa, warm and comforting Cioppino with Barramundi, and this gorgeous Smoked Barramundi and Spring Vegetable Salad. Stay tuned for more recipes coming your way very soon. View all my recipes on TheBetterFish.com! Where can I find it? Is it expensive? Australis Barramundi is available at a wide selection of retailers including Whole Foods, select Costco locations, BJ’s, Weis, Stop&Shop, Market Basket, H-E-B and more. Look for it in the frozen seafood section, and sometimes over with the fresh fish. To find out if your local retailer carries Australis Barramundi, see our store locator. Coming in at around $10/lb, Australis Barramundi is a cost effective and delicious way to get more nutrient dense, omega-3 rich fish into your diet. Blue Apron subscribers will be happy to know that they can now order Australis Barramundi as one of the protein options! Look for it on upcoming menus. Coley, you live at the shore, which means you have access to some of the freshest fish possible. Why are you suggesting I buy frozen? This is true! But there are many reasons why frozen fish is an awesome choice, and sometimes superior to fresh… even for us folks who live by the sea. Guaranteed freshness. Australis Barramundi fillets are flash frozen immediately after being harvested. Australis’ packing plants use special belts to freeze fish to subzero temperatures in a matter of minutes, which preserves the cell structure and prevents any changes in texture. The fish is then coated in a very thin layer of ice before being vacuum sealed, which prevents freezer burn and locks in freshness and flavor. Once cooked, you’d never know the difference. “Fresh” fish at even the finest markets could have been sitting out for several days. Some sneaky markets will even pawn off thawed, frozen fish as “fresh” with the words “previously frozen” stated in tiny print next to the description. And sometimes they don’t even do that. Save money. Bought enough fish for six people, but now only four can make it to dinner? With high quality frozen seafood on hand, you’ll never have to worry about what to do with the extra. Just save them for another time. Have I convinced you to try Australis Barramundi yet? Learn more about my favorite sustainable fish at TheBetterFish.com and give them a follow on Facebook, Instagram, and Twitter @TheBetterFish! Don’t forget to join us in celebrating BarraMonday every week by posting your best barramundi creations with the hashtag #BarraMonday!